Save time and money No more trips to the local grocery store for bulky bottled water! All you have to do is schedule your water delivery by giving us a call or by filling out our convenient online delivery form. We offer competitive pricing on our water delivery services to help you save both time and money. Stay hydrated When you always have purified drinking water available to drink at your home or business, you’re more likely to stay hydrated. And when you stay adequately hydrated, you increase your energy levels, aid in your digestion, and maintain healthy weight loss. Staying hydrated has also been known to help you reduce your likelihood of getting sick, while also clearing up your skin. You’ll look and feel your best! Easy access to pure water You’ll know the exact source of your water and all of the treatments that have gone into purifying it. You can get water delivered in 3-gallon, 5-gallon, or 500ml bottles for your convenience. 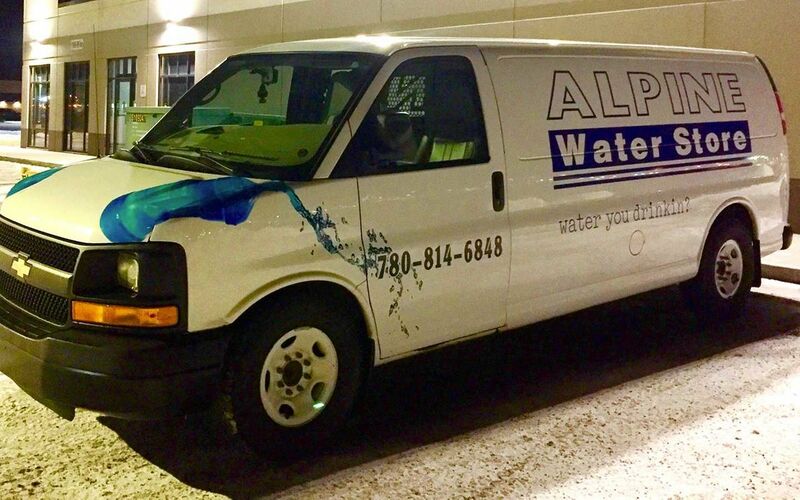 At Alpine Water Store, we always go above and beyond to ensure our water gets to our customers. If you need to set up water delivery to your home or business, please fill out the form below and we will deliver water to you as soon as possible. Please contact us to inquire about our most up-to-date pricing schedule!